Henley&apos;s career began as a light porter in Cheapside (London). History tells us that he wasn&apos;t the easiest person to get along with; arguments ensued with his boss until finally he left. Next, he took a job at St Katherine Docks, which lasted for 6 years. During that time, he resolved to learn a trade. Using money given to him by one of his Aunt&apos;s he invested in the purchase of an old Lathe and a Vice and with what was left over he bought some timber, which he turned into a cabinet-makers bench. With the Lathe, he taught himself turning in wood and brass, whilst some of the money he earnt as a docker funded his desire to experiment. Within 3 years, he&apos;d taught himself lots about electricity and magnetism, optics, chemistry, mechanics and the laws of motion, as well as having become something of a handyman. One of Henley&apos;s best customers was Mr J.P. Gassiot, Chairman of the London and Westminster Bank and a keen amateur scientist. Among Gassiot&apos;s contempories and friends at the time were Michael Faraday and William Sturgeon. Gassiot recommended Henley to Professor Daniell (Professor of Chemistry) and Professor Wheatstone (Professor of experimental physics) who were based at Kings College. Henley was the &apos;intelligent mechanic&apos; whom Wheatstone recommended to William Henry Fox Talbot the Photography pioneer and with whom Henley worked for a while. 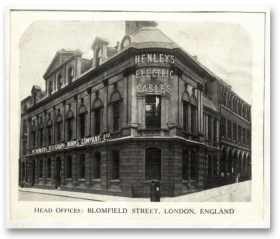 Henley was now seeing his electrical apparatus business soar and soon moved to new premises in Whitechapel, taking on his first employee to help. Now Henley had begun to manufacture electrical apparatus for a Chemist who owned a shop in East London and who also allowed him to display things in his shop window. Business began to boom and although popular with his colleagues Henley wanted to be his own boss and so left the docks to pursue manufacturing full time. By now the year was probably 1836. Today, we live in a World that where we take Mobile Phones, Satellite Television and Electricity at the flick of a switch for granted. No such luxuries for our founder William Thomas Henley, who was born in Midhurst in Sussex in 1814. Read more about WT Henley history at History of the Atlantic Cable & Undersea Communications website. By the mid 1850&apos;s, substantial land telegraph links existed in many Countries and future growth depended to a large degree on linking the land networks by Submarine Telegraph Cable. Thus, the scene was set for an explosion in the cable making industry. Henley set up as a submarine cable maker in 1857 and by 1859; he had his own factory beside the Thames at North Woolwich. He went on to manufacture the shore ends of the Trans-Atlantic cable in 1865 and generally helped lay the foundations of modern communication, as we know it today. 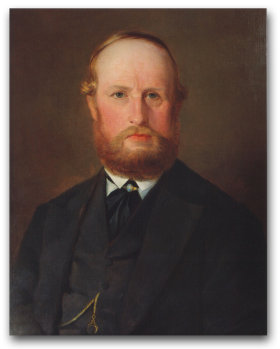 Henley died in 1882 but his legacy lives on in the Company, which still bears his name. The business, which we now know as WT Henley, was originally developed as the Engineering department for the then neighbouring Cable Company. This was where our early cable accessories were first developed. The Company historian at the time recalls it as &apos;A pulsating throbbing town of machinery...&apos; Fittings for ISCO&apos;S, Feeder Pillars, disconnecting Boxes, Cutouts and a whole manner of products were soon to be included in our expanding range of Cable accessories. 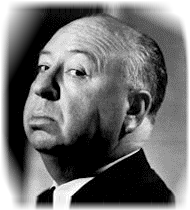 Amongst the one time employees of the Company was the thriller producer Alfred Hitchcock. &apos;Hitch&apos; (as he was known) worked in the advertising department of Henley&apos;s london offices, writing short stories for the in house magazine (The Henley) and providing illustrations for product marketing, until leaving in 1919 to start his career in the movies. In 2006, his first story &apos;GAS&apos; was made into a short film by the French film director Sylvie Bolioli. 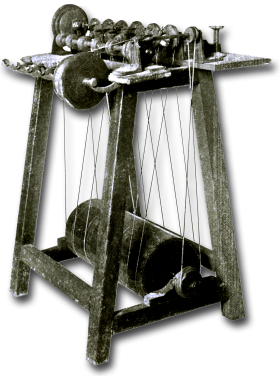 Henley continued making instruments for Wheatstone, up until the time that the patent rights were sold to the Electric Telegraph Company (ETC) in 1846. By now, he was employing 23 people and (albeit reluctantly) found himself having to manage the business rather than be quite so &apos;hands on&apos;. The City of London to Manchester. The year 1959 saw Henley&apos;s acquired by AEI. Along with SIEMENS brothers and The Liverpool Electric Cables Company, they formed the AEI Cable division. In 1967, The General Electric Company (headed by the late Lord Weinstock) took over AEI Cables and the Henley name was reborn as GEC Henley Limited. In March 1997 we were acquired by TT electronics plc and the final change occured in November 2010, when we were acquired by Groupe Sicame. In the modern era at our brand new state of the art facility in North Kent, WT Henley is a world-class manufacturer of Electrical Distribution Equipment and is a name trusted for quality and reliability by many Electricity utilities around the globe. Continuing Henley&apos;s original pioneering spirit we are constantly exploring modern and innovative solutions to improve the reliability and quality of Electricity supplies in some of the toughest working environments around the world today.